Many Mac users are fond of the Mac startup sound that chimes on system boot, but there are definitely times when booting that you’d rather just be quiet, say a library or coffee shop. Thus, we’re going to show you how to mute that boot up sound on any Mac, MacBook model (Pro, Air), iMac, or Mac Pro, we’ll offer a temporary solution, and a few different permanent solutions to mute the sound as well. If you want to temporarily stop the Mac startup chime sound, just hold down the Mute button on your Mac keyboard, this will silence the boot sound for that particular system boot/reboot. Note that you will not see that mute logo when the Mac startup has begun, it will simply just be quiet for the startup whenever the key is held down during boot. Hit return and follow it up with the admin password to allow the adjustment, that is required by sudo. This quite literally disables the chime, until it has been undone at least. A reboot is necessary for user to notice the change, of course. If you want a more permanent solution to shut your Mac boot sound up, there’s a preference pane that does just that. WIth StartupSound or StartNinja you can adjust the volume of the startup chime or mute it completely. 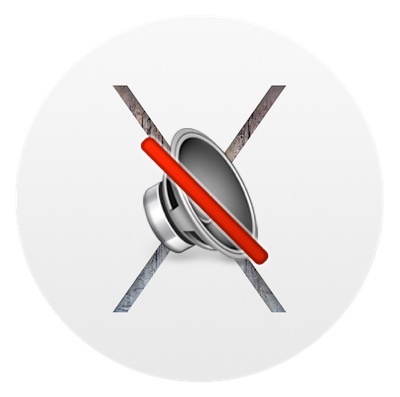 Obviously the newer versions of OS X will want to use the StartNinja app if you want to completely stop the boot sound all the time, which will apply to every boot of the Mac, not just a temporary muting like the first solution offered. Enjoy your newly silenced boot, whichever way you go. Yep, and that’s the only software I found which actually works. 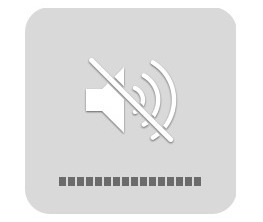 You can just turn the sound down on your Mac before shutting it down and it won’t make any noise when you turn it on. i think i love you, Paul Horowitz. I go to the library everyday and i want to keep it nice and quiet there, but i also like to hear the mac chime when i turn it on at home. No controls, mute button or anything else works. No software has worked. I’m ready to shoot this iMac. 24″ 2.4 Hz. I’m thinking of doing an internal vasectomy to the speaker wires. I have always loved Apple after many Macs. I now love them a lot less! I found the software only allows me to go down to the lowest setting… doh…mute it is! Thanks. The mute button never works on my MacBook Pro, neither does this application. I can’t use my Mac without awakening my children. I want my old PC back. Nope, the mute button doesn’t work on my iMac and the application doesn’t work on Lion (according to the download page). Any other bright ideas? I never remember to mute the computer before shutdown and I usually wake up long before the rest of the family and I really don’t want to wake them. So far, this is the only thing that’s not perfect with my iMac, but on the other hand, it’s really really really annoying! I thought I found the right stuff to silence the opening of my new iMac version 10.7.2 Intel but it doesn’t work. And, apparently, I am not the only one. Very, very anoying. What do you suggest? A solution for the startup sound from the early days of the Mac was to simply plug a headphone or external speaker into the sound output port (with volume set way down). Another was to plug in a mini-plug adapter into the sound port, connected to nothing. The disadvantage of these methods is that after booting, if you want to hear normal sound levels from your speakers you have to take an inconvenient action to restore the sound by unplugging something from the sound port or turning up the speakers/headphones. Alternatively, if you know Applescript/shell scripting you can write scripts to mute or lower the volume upon shutting down and to restore the volume automatically after the normal boot process. Muting before shut down doesn’t work for my MacBook Pros, both a 2008 model and a 2011 model. Neither does holding down the mute key at startup. Nor plugging in headphones, nor a mini-plug adapter (actually, a 1/8″/3.5mm “mini-jack” is the right size, but it doesn’t work either). Whatever settings and incantations I have tried, the startup chime comes out loud and clear through the built-in speakers. And for those who say that I shouldn’t be shutting down or restarting, it is required for many Software Updates. This is among the more user-hostile features of my Macs. I’ve talked to AppleCare, and was told that Apple doesn’t provide a method to silence the chime, and doesn’t endorse any third parter methods. I hope everyone will post a message on http://www.apple.com/feedback/macosx.html, asking for a fix to this problem. Startup Sound works well for me on Lion, another tip i do is upon firing up the imac, i hold the low volume button down and this stops the startup tone. Why the hell would they not just have a setting turn startup sound off? when you’re in public somewhere and you hear it you know exactly what it is. Apple might be evil but they’ve got their marketing strategies locked down. I bought an old Mac G4 it’s kinda like Windows 3.1 got frustrated with the bong…F’it…cut the wire. enter your Mac password at the prompt. Apple has had plenty time to include that possibility into system. Maybe they think it is good advertizing because everybody around notice “its a Mac !”. Looking at angry looks, for example when starting my MacBook during night flight indicates quite the contrary ! Thanks a lot! Been looking for this since 10.8! Much appreciated!! Help! My Air chimes…at weird times…how do I stop it? Nowhere can I find a solution to this: my iMac startup chime suddenly stopped working. I like it and miss it. I have tried mute/ummute, vol. buttons, reboot but with no success. There must be s simple solution. Did I inadvertently push a key…? Any help out there? I have a new iMac all in one Yosemite bought Sept 2014. This worked for my iMac when I tried it.